In this episode, we embark on a discussion with Bloomberg’s Senior Policy Analyst of Technology and Government on Net Neutrality. We delve into how this effects us as consumers with our internet service providers and the ongoing feud between Netflix & Verizon as Netflix fights for consumer’s right to broadband! 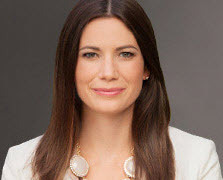 In addition, Rachel Cruze joins us for a discussion on how to take “Baby Steps” in order to minimize debt and exploring how recent college grads can tackle the mounting student loan problem. Ken Monahan is a Senior Policy Analyst, Technology with Bloomberg Government. He was an international economist and acting team lead in the Office of Trade Policy Analysis at the Commerce Department’s International Trade Administration. He holds a B.A. in economics from the University of New Hampshire, an M.A. in central and eastern European studies from Jagiellonian University in Krakow, Poland, and an M.A. in international relations from the Johns Hopkins School of Advanced International Studies. He was a Fulbright Fellow in Vilnius, Lithuania. Rachel Cruze is a seasoned communicator and presenter who has been speaking to groups as large as 10,000 for more than a decade. The daughter of Dave Ramsey, she uses the knowledge and experiences from growing up in the Ramsey household to educate America‘s students and young adults on the proper ways to handle money and stay out of debt. Her book Smart Money Smart Kids: Raising the Next Generation to Win with Money , co-authored by her dad, released in April 2014 and debuted at #1 on the New York Times best-sellers list. You can follow Rachel on Follow @RachelCruze, online at rachelcruze.com, or at facebook.com/rachelramseycruze.